There’s no place like roam. Take this on-the-go diffuser kit with you to enjoy the journey and the destination. 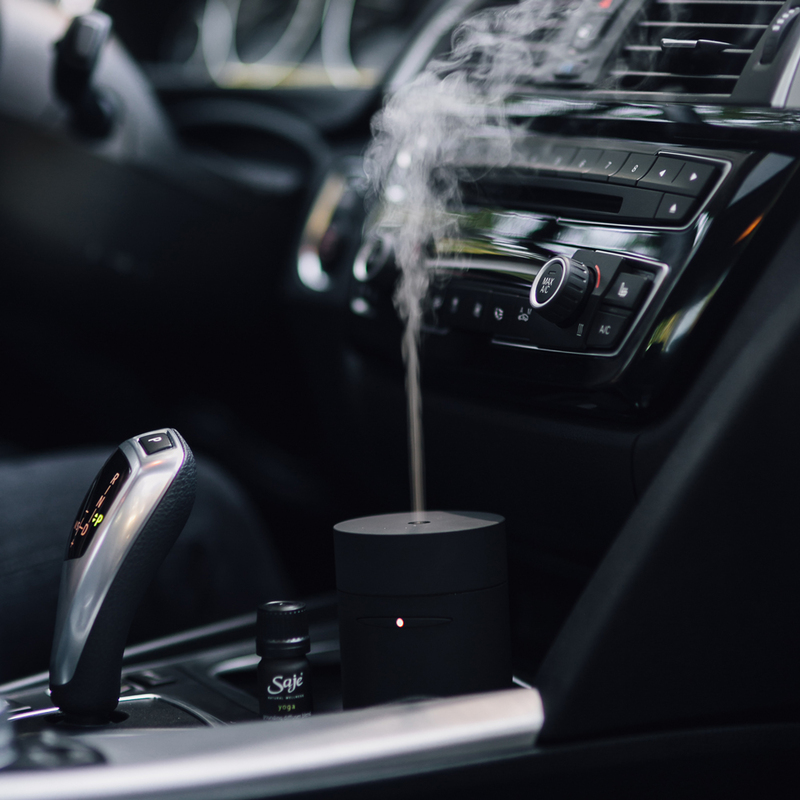 Plug the aromaRoam in your car, your laptop or anywhere with a USB outlet to feel refreshed or grounded with two diffuser blends to suit your mood. Includes aromaRoam Ultrasonic Diffuser, Refresh Diffuser Blend and Yoga Diffuser Blend. Connect the ultrasonic diffuser and remove the lid. Fill water tank with room temperature tap water to the water line. Add 5 drops of either diffuser blend to the water. 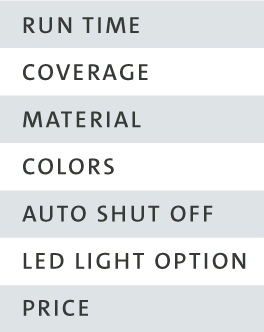 Replace the lid, plug into power and press control buttons to select desired settings. Contains phototoxic essential oil; if accidental skin contact occurs, do not sun tan/use tanning beds for 3-4 days. Feeling balanced, refreshed and revitalized on and off the road. The aromaRoam’s compact size and USB/car outlet adapters make this perfect for travel. 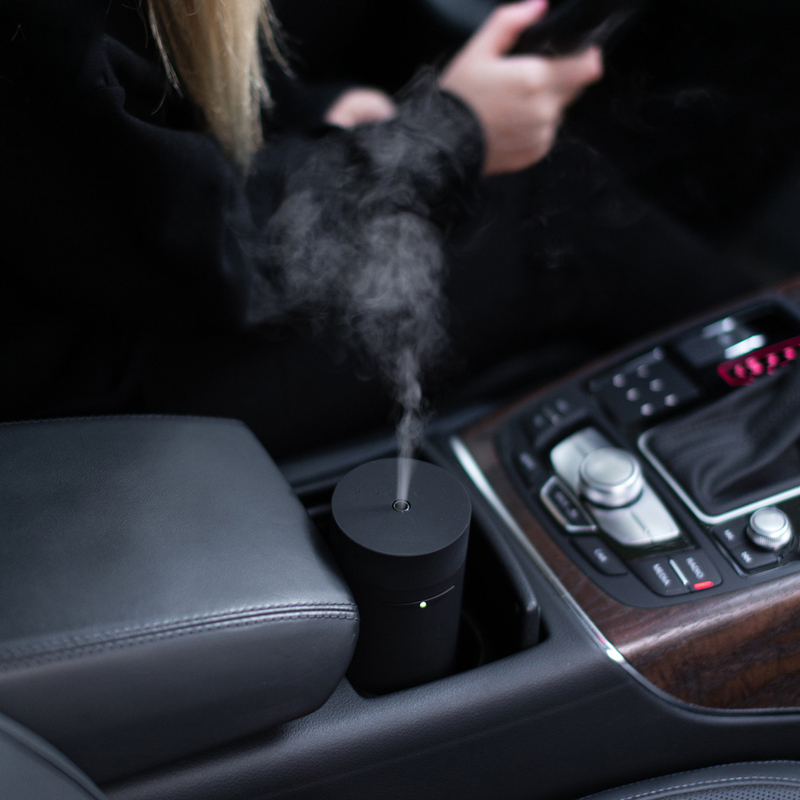 This diffuser is the right size and fits in the cup holder of my car and the black color makes it look very sleek. The mist runs consistently and provides a refreshing aroma in the car while driving in the summers omitting the odors. A must have for all cars ! Until you discover this gem. What a treat to be able to make your car smell like a dream. I'd strongly recommend this car and ultimately travel diffuser that you can take with you wherever you go. Everything even fits inside for travel. I want to start with I'm a SAJE FANATIC!!! I have literally gotten everyone hooked on the oils and products from this company. 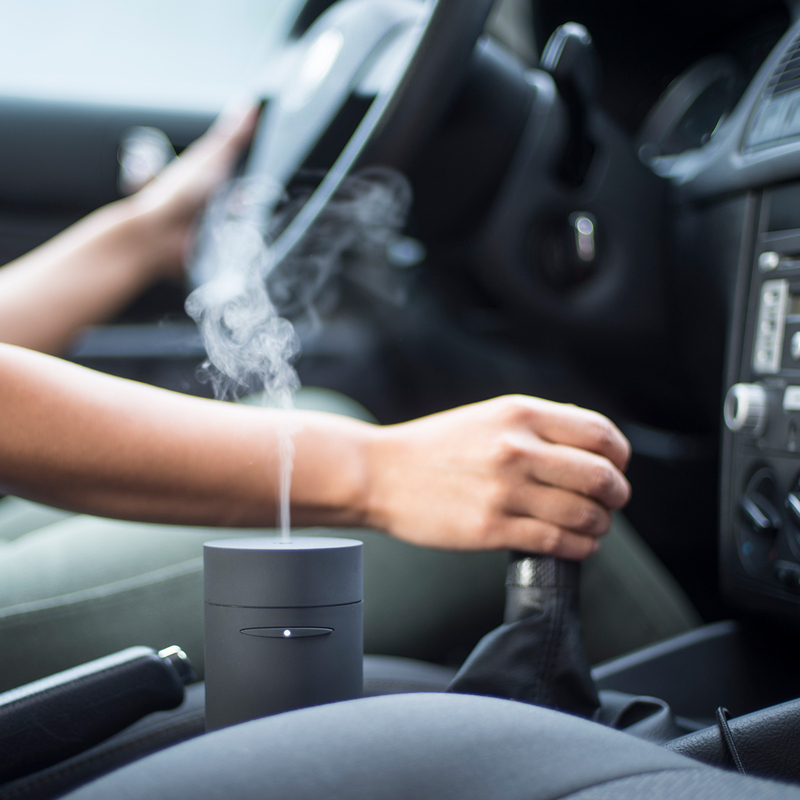 I loved the concept of this diffuser after a long stressful day or to soothe my drive into the office in the mornings - however - the minute you put it down all the way in the cup holder - it stops working. So the only way the mist successfully rises from the diffuser if it's sitting on top of the cup holder - falling out at turns and stops. I am contemplating keeping it for my office as the connection is USB - but quite disappointed that it doesn't work for what i wanted it for. Meh.